The original A-frame design is rigid, which means the snowplow’s moldboard is a fixed construction that’ll always be at a constant elevation. When there are dips or low areas, the cutting edge would typically leave the plowing surface due to lack of vertical travel. To combat this problem, skid steer operators would simply tilt the machine up taking the front wheels off the ground to provide greater down pressure on the blade. The problem with doing that is the operator will lose grip by exerting all the forward drive to the back wheels only limiting traction. With a wheel loader or tractor, this method is all-together impossible because the operator would lose steering and overall control of the machine. The new FlexFrame design allows the plow to rise and fall with all the machine’s wheels riding on the ground, resulting in a cleaner surface and greater traction. To address the issue, SnowWolf incorporated patent-pending semi-floating torsion technology that it previously incorporated into its FlexPlow. The FlexFrame system gives the equipment operator the ability to apply variable down pressure on the blade, from zero foot-pounds of pressure on up to as much as 1,500 ft. lbs. by rolling the attachment plate forward or backward — the system either exerts or releases pressure from the blade’s cutting edge. 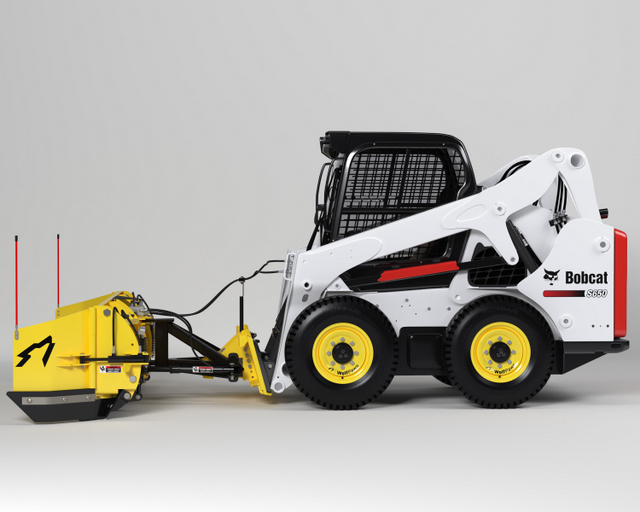 SnowWolf designed the new A-frame so independent contractors and fleet managers won’t need to purchase entirely new attachments to get the floating functionality. The UltraPlow has been a stalwart of SnowWolf’s snow removal product offering since it formed in 1992. 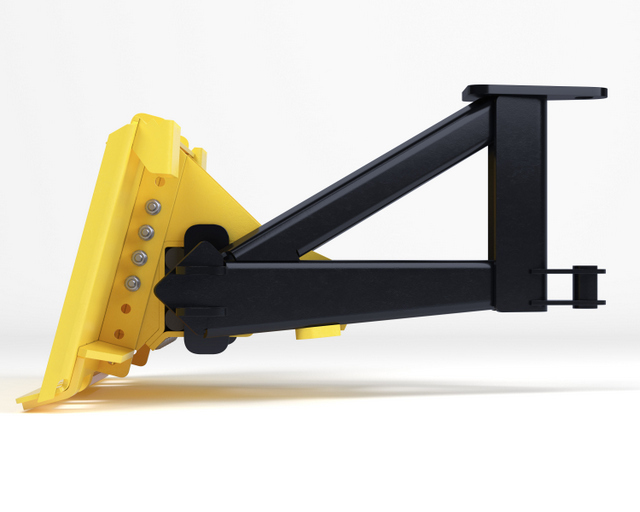 The company introduced the QuattroPlow in 2016 for machines that weigh 6,000-14,000 lbs. like skid steers, compact wheel loaders and smaller tractors with loaders. The technologically advanced QuattroPlow gives operators the power to efficiently tackle four distinct functions with one piece of equipment. It’s a high-capacity, hydraulic angle snow pusher, angle plow with wings, wide-angle plow with wings and back drag plow, all in one. For more info on SnowWolf, click this link!